A website stocking the UK’s largest range of Japanese sake has been launched by a Yorkshire entrepreneur. 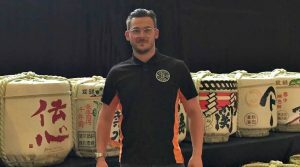 Stuart Turner, who already runs SushiSushi, has launched SakeStore.co.uk to sell a range of sake, a Japanese alcoholic drink made of fermented rice. Turner said: “Sake is relatively unknown in the UK, but like sushi, is an integral part of Japanese cuisine. We already stock Japanese and Asian food, drink, packaging, tableware and equipment, so we thought, why not add alcoholic beverages to the mix. Turner, who is based in Barnsley, founded SushiSushi in 2007 after developing a passion for Japanese food and culture while travelling across Australasia and Asia. It stocks a range of products sold to restaurants, chefs, retailers and cooking enthusiasts across Europe and the rest of the world, with clients including Great British Menu judge Michael O’Hare and MasterChef runner up Andrew Kojima.